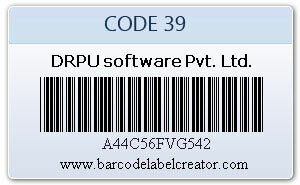 Code 39 barcode is variable length and discrete barcode that define 43 characters including upper case letters, numbers and special characters. 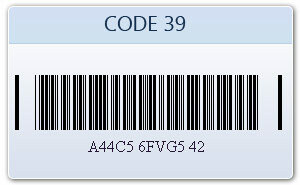 Code 39 is also known as USD-3, code 3 of 9, USS code 39, Alpha39, Code 3/9 and types 39. 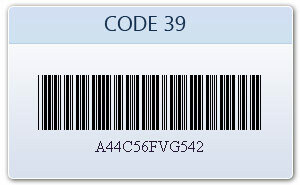 In code39 bar codes each character is composed of 9 elements i.e. 5 bars and 4 spaces.